In order for you to systematically learn TaoZen’s comprehensive collection of practices, we have established a special program. Of course, you may attend a single workshops and progress at your own pace. But you can also subscribe to the course as a package. TaoZen practice is overlaid from various points of view, so it is possible to realize the whole picture in a short period of time. If you are not able to participate in a certain class, it is possible to transfer the class in the next cycle. This TaoZen basic course program is also a mandatory program for those who wish to become instructors of TaoZen. It is also the foundation for more advanced practice. “Pilates Qigong” ~ ~ and supple trained pelvic floor muscles and trunk, beautiful from the inside. Pilates Qigong, Let’s make the time to pay attention to their posture and breathing. Located in the deep part of our body, spine and muscle, train the pelvic floor muscles that support the internal organs and one’s whole attitude will change. Chi Nei Tsang is said to be internal organs therapy and a holistic healing approach to internal organs based on Qigong methods of Taoism. Our belly keeps the homeostasis while we work tirelessly day and night. But with day-to-day stress and negative emotions, additives and processed foods, the environment of our belly easily changes. Chi Nei Tsang restores that balance, strength and vitality. We will further deepen the basics of the full moon meditation, enjoying the energy of the moon in our Dantien. Learned to meditate with the moon! TaoZen Morning practice. A refreshing way to begin each day: Breathing, qigong, and a practice that combines the essence of these and meditation. Easy to learn and fun, you can do it for anywhere from 7 to 30 minutes at your own pace. Lotus meditation: A familiar meditation method using the flower image of the lotus. This meditation is a basic one that, even after many years, continues to be rich and deep. It is a relatively simple meditation technique that can be done by anyone. 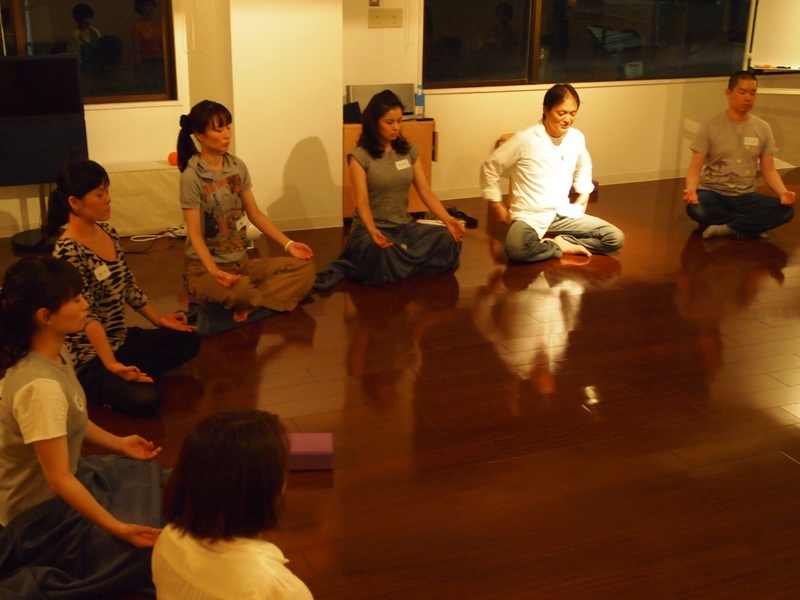 It is one of the signature meditation methods of TaoZen that can be done anytime, anywhere. Why not try to incorporate meditation and breathing techniques into your life? 15 minutes each day is good. It not only lets you regain balance of mind and body, you can also face the stress and changes of life with a different outlook. 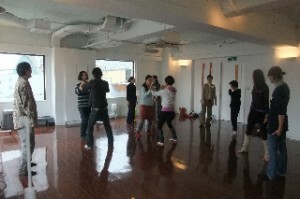 If you have ever attended a class of Inner Feng Shui Taichi, this class is for you. First, we will review and fine tune the basics of our form. On top of that, advice is given to each person tailored to their needs, along with continuing form refinement for the whole group. Friends with Masahiro Ouchi for more than 30 years they have learned the Tao together staring long ago, in the United States. Today Juan Li is also a famous teacher in Europe and the United States. He teaches Tao and Tibetan Buddhism and Indian philosophy. He has come back to Japan for the first time in 36 years to walk the Shikoku eighty-eight places of Kobo Daishi. He will be speaking about the meaning and methods of the classical pilgrimage, his personal philosophy and many experiences. Chi Nei Tsang (Ki internal organs therapy) works to balance the internal organs and emotions to enhance the vitality of the whole person. It is a holistic Qigong therapy that has been practiced for centuries, but was in danger of disappearing because of political factors, such as the Cultural Revolution. But Sifu Xie Ming, a prominent Tao teacher and practitioner, carried it forward by incorporating it into modern medicine. TaoZen Chi Nei Tsang courses incorporate the traditional method with other practices such as meditation and Qigong. This gives the healer tools for helping others, and for supporting their own emotional and energetic health. The course takes place on 17 Wednesdays, from 10:30am to 6:30pm, between April 16 and December 3. A comprehensive course of TaoZen’s integrated body and mind methods with a focus on meditation, to help you to systematically learn the basic practices of TaoZen. When the practices are learned through this course, you learn TaoZen from a variety of viewpoints, and in a short period of time you can realize the whole picture. This is a mandatory program for those wishing to become instructors of TaoZen. It is also the foundation for practicing more advanced methods. And for these core subjects, the more time you spend learning with them, the better your skills become.